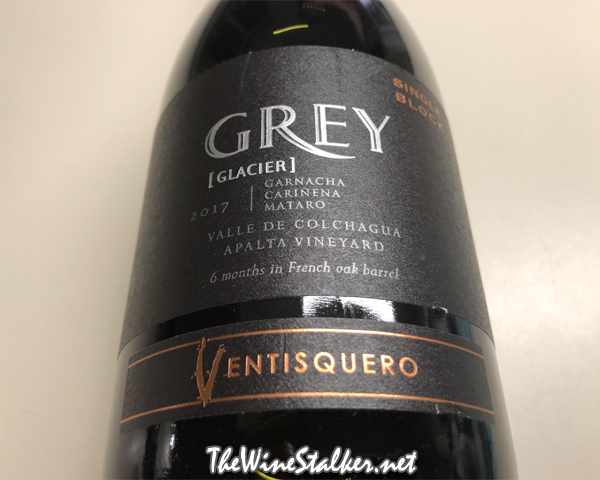 On Sunday I reviewed the Ventisquero "Grey" Glacier Carménère 2014, and today I'm reviewing the Ventisquero "Grey" Glacier Garnacha Cariñena Mataro 2017. This is a blend of 62% Garnacha, 19% Cariñena, and 19% Mataro. 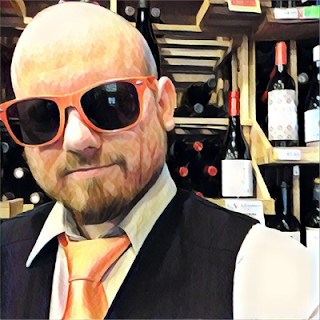 You may know Garnacha as Grenache, Cariñena as Carignan, and Mataro as Mourvédre. All three are from the same Block 28 vineyard plot on a hill in La Robleria, Apalta in Colchagua Valley, Chile. They were all harvested at different times, however, because of the ripening stages of each variety. Only 50% of the grapes passed the inspection to make it into the crush, and then went into pre-fermentative maceration for 3 to 5 days in small open 400-kilo containers. After that it's fermented at a low temperature, then sees a post-fermentative maceration for 1 to 2 weeks before 100% of it goes into extra-fine fifth use French oak barrels for for 6 months, and then 1 month in the bottle. The final ABV is 14%.